My last post featured the old screen door that is now hanging on the wall of my guest bedroom. As you will remember, I was contemplating how to decorate the door. 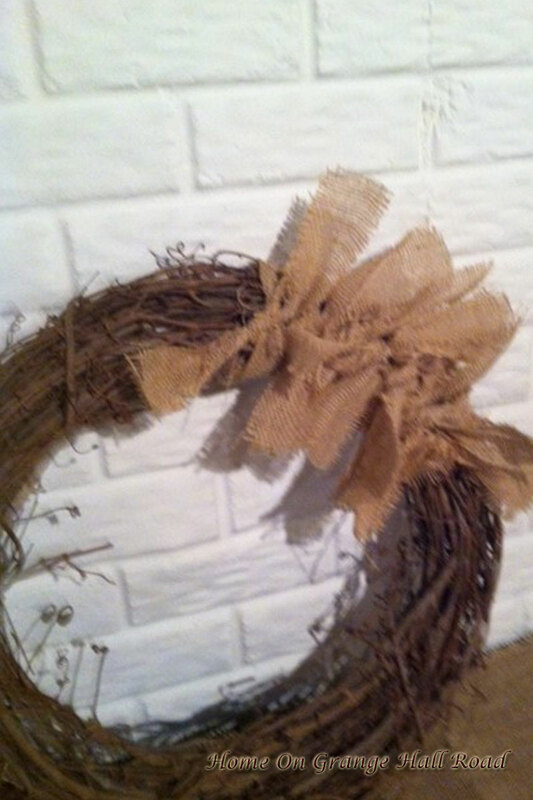 I decided that a burlap wreath would be perfect. 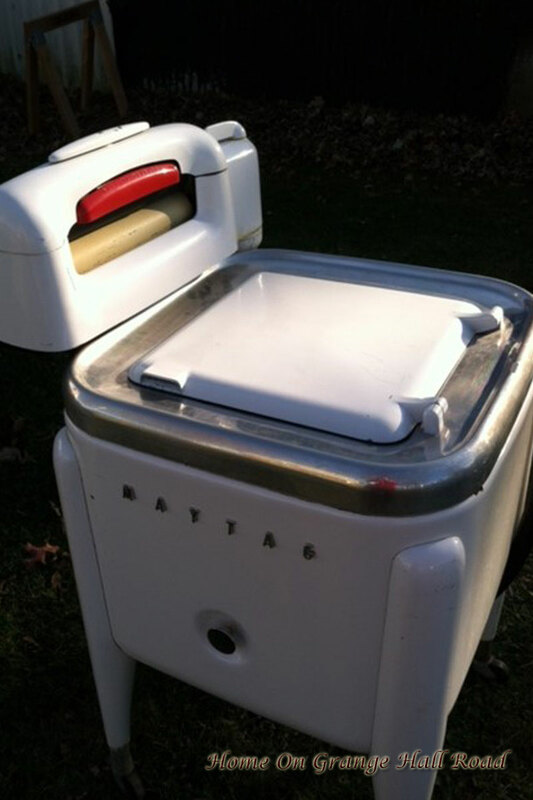 This project is very simple and is quite inexpensive. It does, however, take a bit of time to cut and tie the burlap pieces. Start out by purchasing a wreath of your choice and size. I like to use the grape-vine wreath. I think it gives the wreath more body and if some of the sticks poke through, it gives more detail to the wreath. I bought this from Jo-Ann Fabrics on sale for half-price!! Next, cut lots of pieces of burlap. You can make the pieces as wide or as narrow as you wish. My pieces are 2” wide and 22” in length. It all depends on the look you want. You definitely want enough burlap to tie a tight knot. 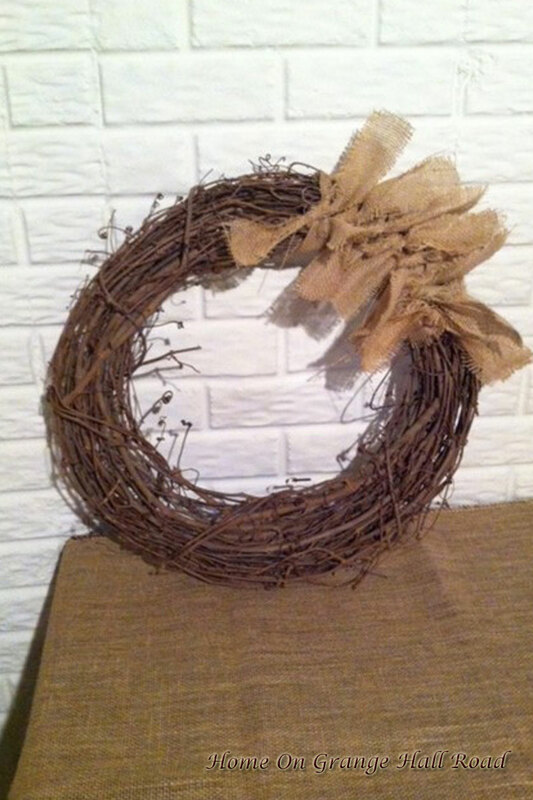 Just keep cutting and tying and cutting and tying until the entire wreath is covered in burlap. 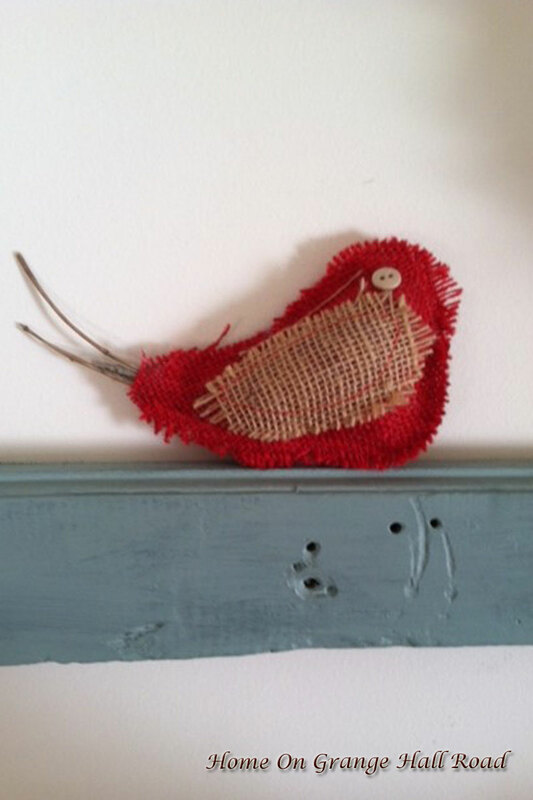 I added a burlap flower (which I did not make) and a cute little white burlap bird (which I did make). 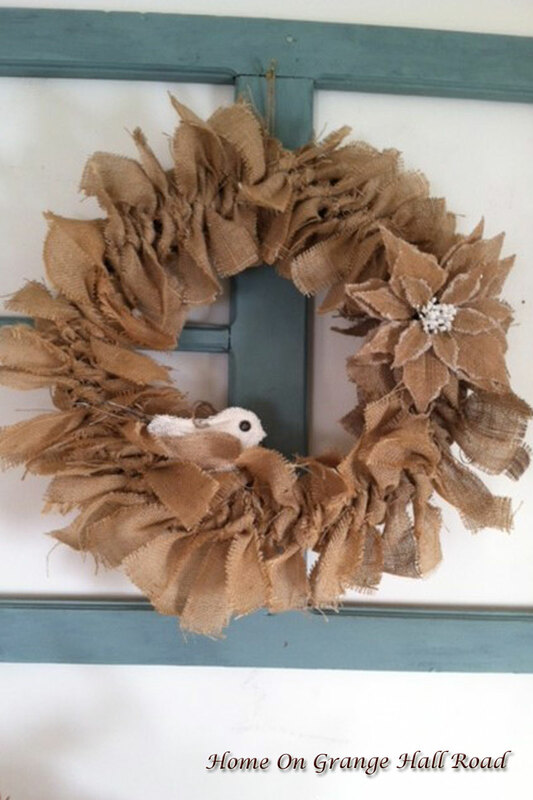 I used a piece of twine to attach the wreath to the screen door. 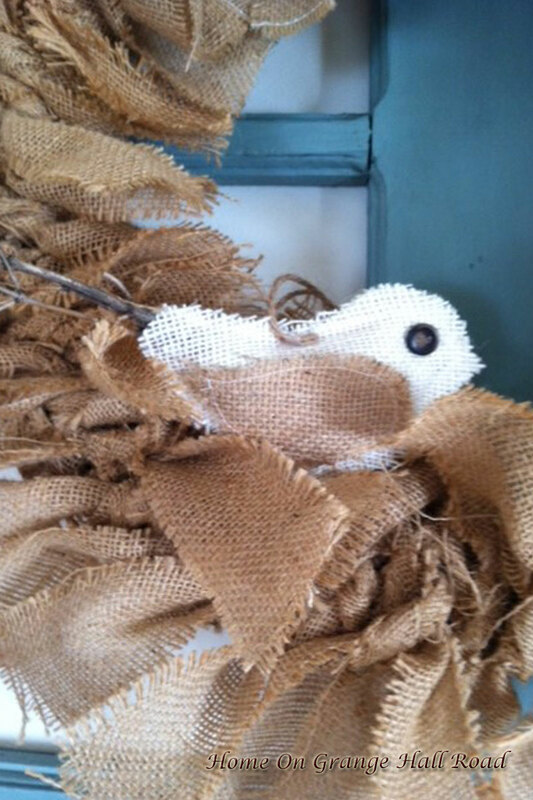 A close-up of the burlap bird. And perched on the screen door is a little red burlap bird. 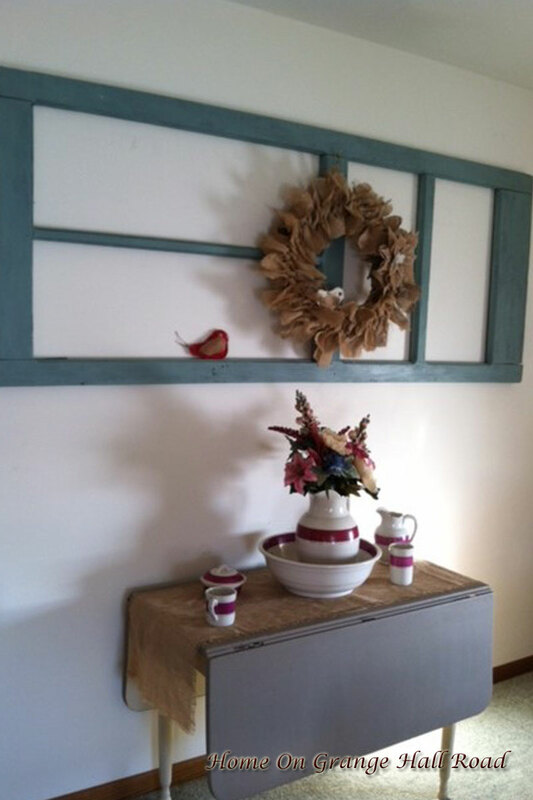 I love the burlap wreath on the screen door over the drop leaf table. Two pieces of furniture that have been brought back to life with some TLC and Annie Sloan Chalk Paint. The bowl and pitcher set is quite old. It belonged to my husband’s great-grandmother. Perfect! As a side note, Murray and I have been able to spend some time going to auctions, which we love to do. Two weeks ago, I purchased this beauty. And it works!! 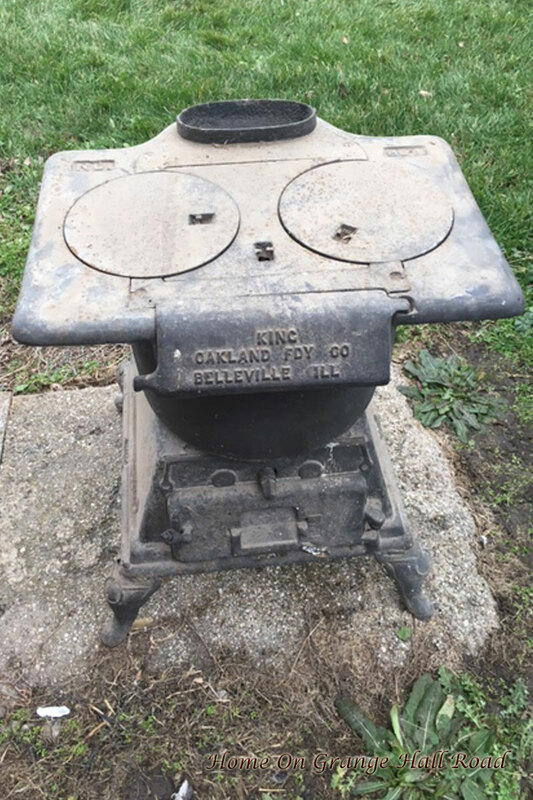 And yesterday I bought this two-burner stove. I am so excited!! Stay tuned for updates on these two treasures!!! Hope you had a blessed Thanksgiving. I am looking forward to a break from work and an enjoyable Christmas with my family.